Yemeni rebel officials say an airstrike by the Saudi-led coalition targeting Shiite rebels has killed at least 17 people in the port-city of Hodeidah. 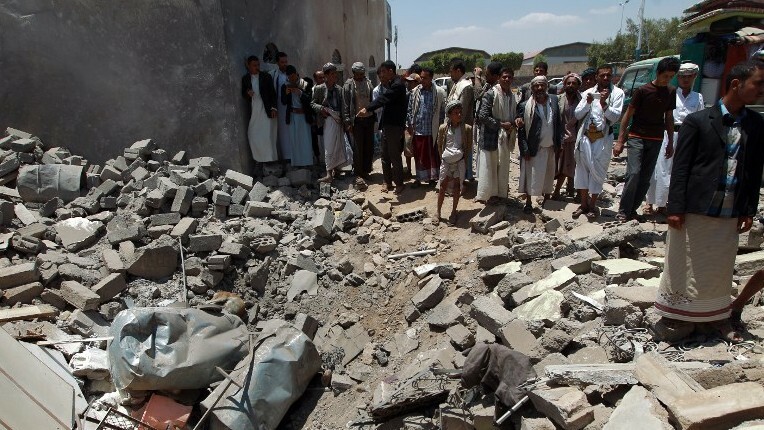 A spokesman for the Houthi-rebel-run Health Ministry, Youssef al-Hadari, says that beyond the 17 killed there were also 20 wounded in the Saturday strike on the Gabal Ras area. Hodeidah, with its key port installations that bring un humanitarian aid, has become the center of Yemen's conflict, with ground troops allied to the coalition struggling to drive out the rebels who control it. The coalition has been locked in a stalemated war with the rebels since 2015. An estimated 10,000 people have been killed in Yemen's conflict, which has produced what the U.N. says is the world's worst humanitarian crisis.